The Alps are considered as one of the most sensitive regions in Europe. To ensure the sustainable development of this unique area, seven Alpine States and the EU signed the Alpine Convention in 1991. 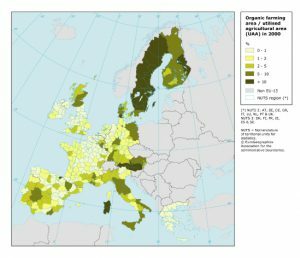 Since the adoption of the European Spatial Development Perspective in 1999 regional policy focuses increasingly on a coherent economic and social development, on the conservation of natural and cultural diversity and on a balanced competitiveness of the regions. The DIAMONT project, managed by the European Academy, uses EuroBoundaryMapto advise the Alpine Convention on the elaboration of an Alpine wide information system (SOIA) and the selection of appropriate indicators and relevant data for sustainable regional development. As the European Commission’s statistical office, Eurostat collects, processes and distributes European economic, geo-demographic and social information on all EU and candidate countries. They provide their customers with easy and rapid access to comparable statistics. To achieve this they use EuroBoundaryMap, mapping their NUTS based statistics to the administrative units in Europe. All this information is made available to the different Commission’s departments for a variety of purposes, such as the management of the structural funds, worth € 195 Billion in the period 2000 – 2006. NAVTEQ is one of the world’s leading producers of digital road data. Its data is found in many in-car navigation systems. NAVTEQ digital map data does not just feature road geometry. It contains dozens of road attributes for every kilometer, everything from speed restrictions to lane configurations – in more than 40 countries. And it also offers millions of Points of Interest, so it enables turn-by-turn directions to restaurants, fuel stations, shopping and more. 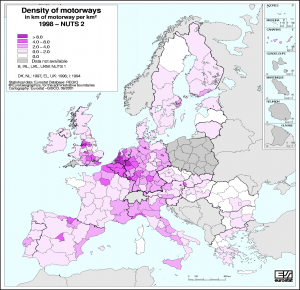 NAVTEQ uses EuroBoundaryMap’s administrative boundaries to reference their road data. 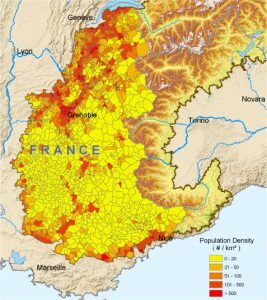 The European Environment Agency, the EU body dedicated to providing independent information on the environment and the main information source for environmental policies, are using EuroBoundaryMap to relate their environmental information and indicators to the administrative areas in Europe. One example is the use of EuroBoundaryMap to classify environmental regions within their CORINE landcover dataset, providing support for the protection of European ecosystems, stopping the loss of biological diversity, tracking the impacts of climate change, assessing developments in agriculture and implementing the European Union’s Water Framework Directive among others.